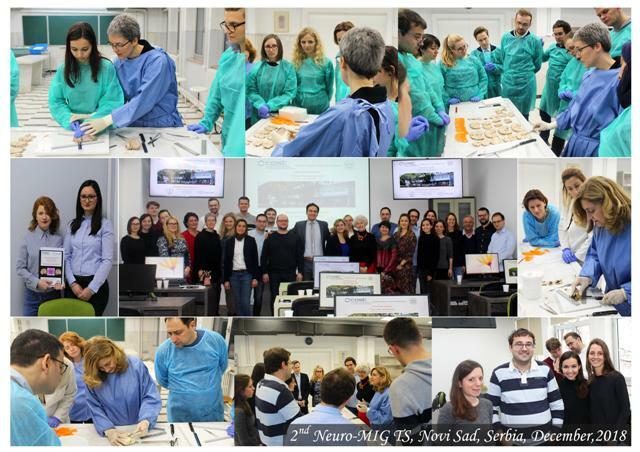 2nd Neuro-MIG Training School "Pathology of Brain Malformations"
The 2nd Neuro-MIG Training School will be held at the Institute of Histology and Embryology at the University of Novi Sad, Serbia, on December 14 - 15, 2018. 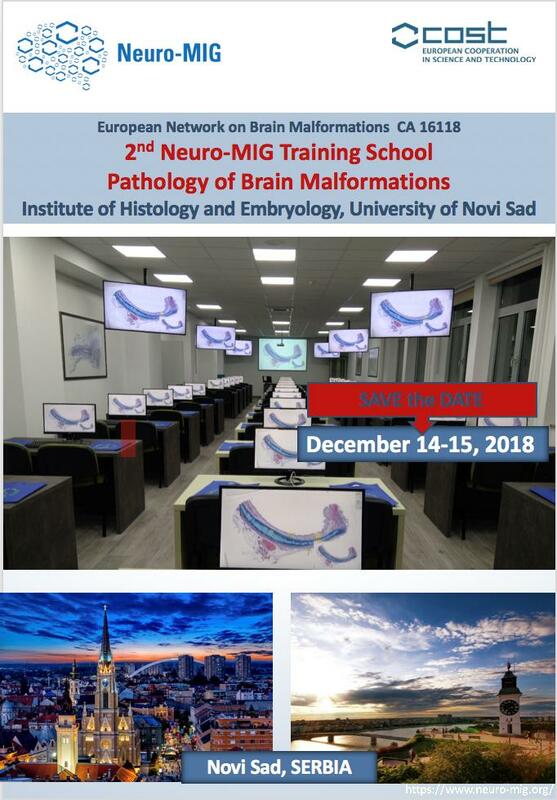 Members of Neuro-MIG COST Action and worldwide known experts will share their expertise with young colleagues by lectures and work on adult and fetal brain sampling techniques, biobanking of brain tissue, and virtual histology slide analysis of normal and brain malformation cases. Concise literature will be distributed to participants in advance. Trainees will be asked to prepare at least one case to be discussed on related topics (antenatal/ postnatal cases along with neuroradiological/molecular/histopathological data). They should also prepare 5 slides to present the challenges they encounter in their daily work life which will also cover their home institute’s challenges. They will present, discuss and be ready to integrate the knowledge that they gained through the course to their presentation. Please share this invitation with all potentially interested trainees!